This past weekend, the kids and I were able to join some friends at North Myrtle Beach in South Carolina. We had never been to Myrtle Beach, and in fact, had not been to the ocean since Isaac was a baby. My husband and I are both from Michigan, and we are Great Lakes people. Oceans have dangerous things like jellyfish and sharks. Nothing wants to eat you in the Great Lakes. However, I really was excited to take the kids to the beach in spite of my issues (ha) and we had a WONDERFUL time. The weather was absolutely perfect. The water was a little chilly for me, but I don't really want to swim in the ocean anyway (read above about sharks and jellyfish). It didn't stop my son or my friend's boys, though! They had a blast in the water. When they had enough of the big waves, there were some tide pools with warmer water and they played in those very happily, making big piles of sand, burying toys an themselves, and generally having a wonderful time. The best part of the beach for me was looking for wildlife. First of all, there are lots of fun birds. There were many happy feathered friends singing in the mornings and it was a delight to wake up to such beautiful music. 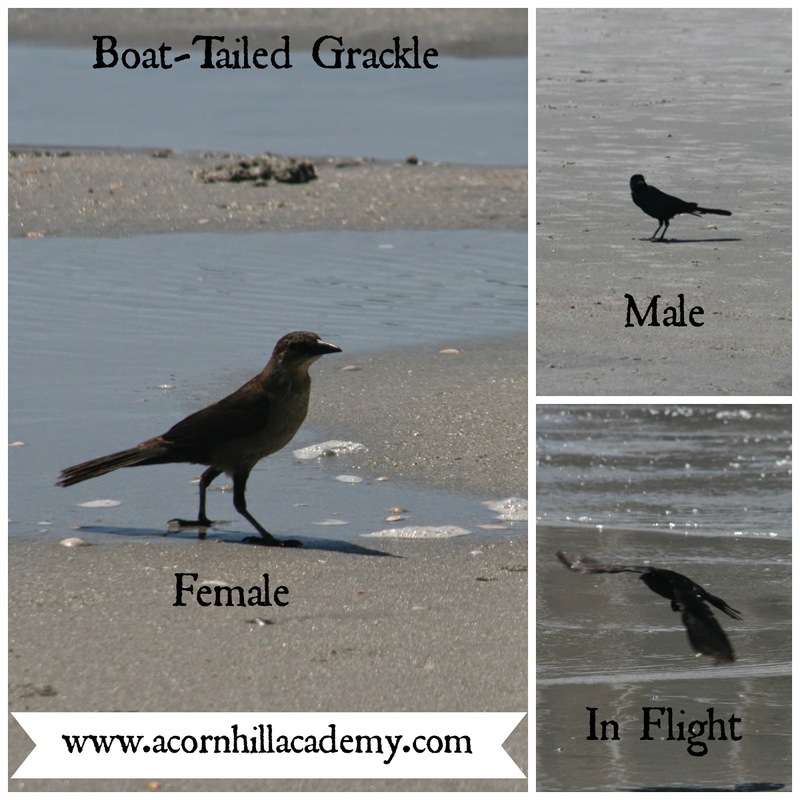 The first bird I saw and was able to identify was the boat-tailed grackle. I have a vague recollection of seeing these birds when my husband and I visited Disneyworld for our first anniversary, which would be nearly 18 years ago, and they were the birds we were warned against feeding. I think they can be pests. They reminded me a lot of mockingbirds, probably because they're both garrulous bird species and fairly brave around people. Anyway, I saw both males and females on the beach. Once we were on the beach, I started poking around for shells. I didn't find anything uncommon, but not being an ocean girl, they're all beautiful to me! We found Ponderous Arks, Eastern Oysters, Cross-barred Venus Clams, Coquina Clams and some Cockles. I found a couple of pieces of Lettered Olive shells, but no whole ones. I'm sure the beach was pretty well picked over by the time we got there each day. Mole crabs at Myrtle Beach. I also caught some live bivalves while looking for shells. I believe these are coquina clams. We got to see the largest one using it's "foot" to sift through the sand, looking for food. 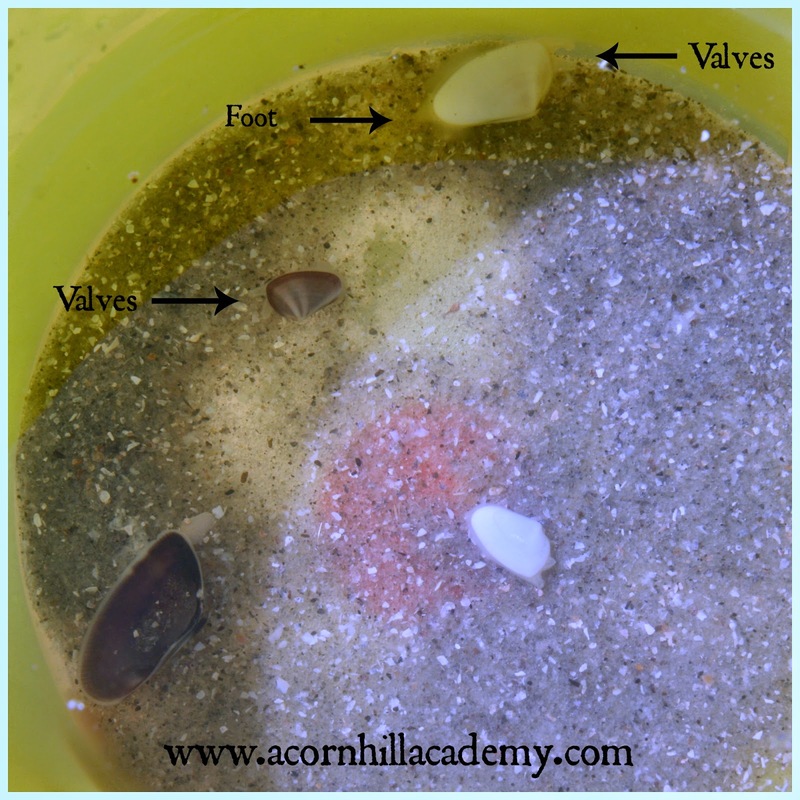 They all put their little valves out, once they were settled into the bucket. Our second day at the beach, my friend's boys found some dead jellyfish. I believe they said there were three of them. 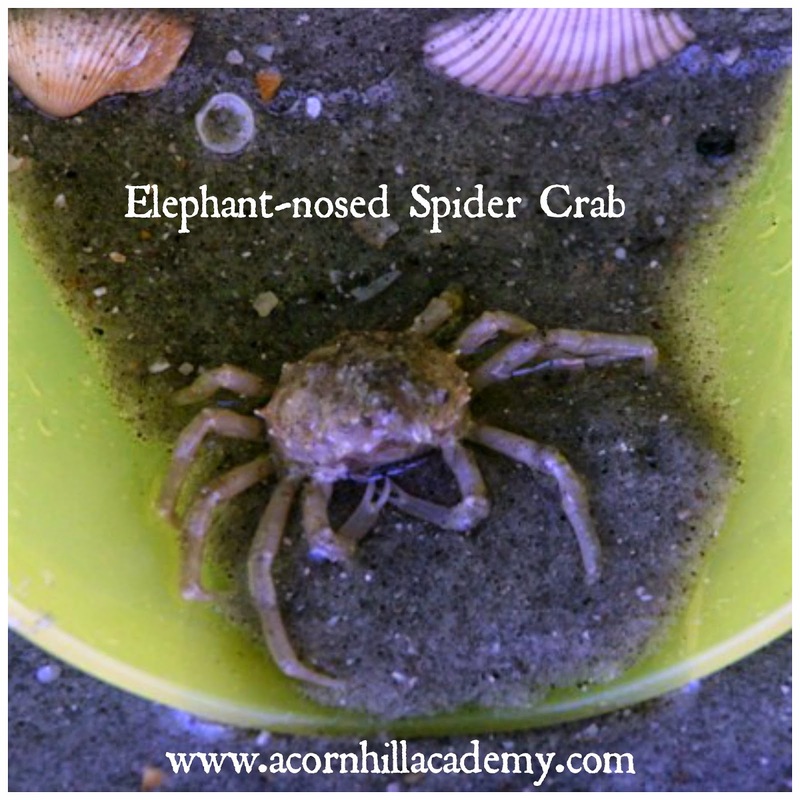 Her younger son picked one up, and while he and her brother were looking at it, three small elephant-nose spider crabs came out! They were able to catch one, and they let us hang out with it for a while. It didn't seem to mind the bucket. We could see the water moving as it breathed through its gill. When Emma and I took it back over by the pier to set it loose, it did to seem eager to leave! We had to let a wave wash it away. Doesn't it look friendly? As we were getting ready to leave, I saw a large bird on the beach and thought it was a pelican. I hurried over with my camera and saw that is was, in fact, an injured cormorant. There was a boy with a boogie board chasing it, and it was unable to fly. It was finally able to get I to the water and I yelled at tha mean kid to stop chasing it. Oh, he is lucky he wasn't one of mine! Anyway, I was able to get a picture. We only saw this one, but they are supposed to be pretty common. 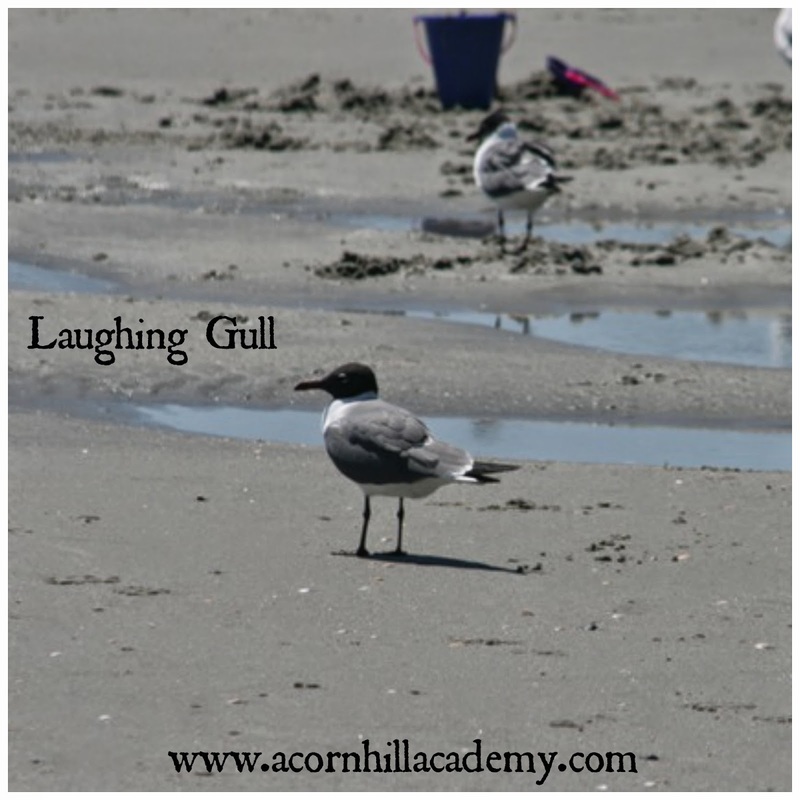 I had never seen a gull with a black head before! That's what they look like during breeding season, according to my bird book. I saw a bird called a dunlin several times, but unfortunately, never with my camera. I was able to identify it by looking through pictures taken by the Carolina Bird Club. Click here to see a picture of one. 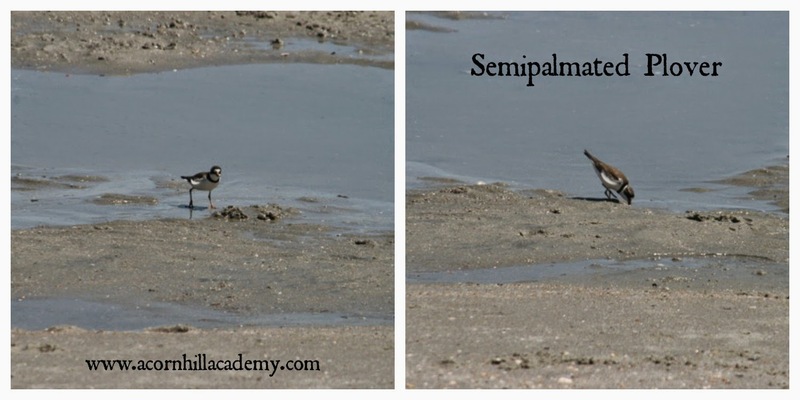 We also saw some killdeer, but we have those at home so I didn't take their pictures. There is a nature preserve at North Myrtle Beach, but it was about a half hour from where we were staying, and no one else really wanted to go with me. The weather was perfect for the beach, so I didn't force the issue. If we'd had one more day, I think we would have gone. It would have been time for a break from the beach. However, as you can see, there is always something to be found, no matter where you are! Do you like to go to the beach at the ocean, or at a lake? What have you found there?